This free open online course will help young people to get started with designing and developing apps and software. This course will help you to develop your own “Design Thinking”. You’ll learn how to use a free and fun prototyping tool called Build. The course has been especially designed for young people interested in technology, but with little or no development experience. Do you enjoy using apps on your mobile phone, or playing video games? Maybe you’ve wondered how their creators made them? Maybe you even have an idea for creating an app yourself, but have no idea where to begin. In this course we’ll help you to develop your own “Design Thinking” – a mindset that is commonly used when designing new products, especially software. We’ll introduce you to a free and fun prototyping tool called Build, where you can apply some of your new design skills. We’ll show you how to access this tool at the start of the course. And even if you’ve never designed anything before, well, there’s no better place to start! We’ll guide you through every step along the way, with lots of opportunities for you to try out and test your new ideas. The course has been especially designed for young people interested in technology, but with little or no development experience. The course also includes a discussion forum, where you can get help from our team of experts chat with other learners. There are optional self-tests after each video lecture, and short weekly assignments and a final exam to help you earn a record of achievement. But by the end of this 4-week course, your greatest achievement will be that you won’t just be using apps, you’ll be designing them with confidence too! * Please note: Build was renamed SAP Build in August 2017. This course is especially for young people who would like to know more about the fields of design thinking and software development. It will be of interest to anyone wanting to take their first steps towards designing and developing innovative apps. There are no formal requirements for this course. We’ll show you everything from scratch – step-by-step. This course will use the Build tool, developed by SAP. We will show you how to access this tool free of charge at the start of the course. 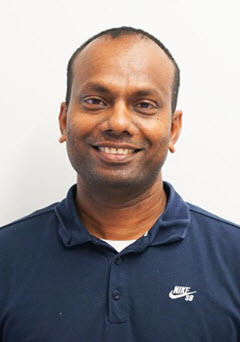 Velavan Trichy is a lead Product Manager who works with enterprise customers to design and develop simple and beautiful apps through Build and other tools. Velavan believes that any user engagement issue with a system or process can be resolved through right User Experience. Velavan has long experience in developing Fiori applications for ECC and Cloud apps. Before this, Velavan worked in analytical/EPM products as Product Manager as well as Consultant. 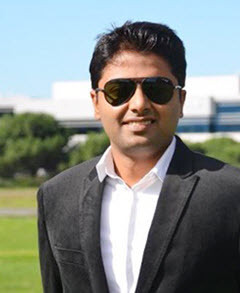 Santosh Kikkeri is a product manager for Build, where his focus is on helping SAP customers and partners design better experiences for their end users. Prior to working on this project, he was assisting San Francisco 49ers to efficiently assess and compare players with new insights like never before. Santosh joined SAP in 2006 as a Basis consultant. Since then, he has held variety of roles, such as production project lead, program manager, and customer success evangelist. This course was held from Oct 04, 2017 through Nov 09, 2017. This course was rated with 4.38 stars in average from 663 votes. Ben Ceaser is Vice President of Product for the SAP Design d.studio leading the product team responsible for Build. Ben holds a Bachelors of Arts in Afro-American Studies from the University of Wisconsin-Madison. Ben has over 17 years of experience in the software industry holding product management and consulting positions at SAP and several early stage startups. Prior to software, he worked in the hospitality industry, managing several of America’s top restaurants. He enjoys watching English football (go Arsenal! ), listening to music, cooking and being a dad. Andres Santanilla is a user experience designer at SAP, focused on designing applications for a broad range of industries such as finance, marketing, and data analytics. Andres’s favorite design practice is “speculative design”, a toolset that aims to spark conversation around possible future scenarios that study the effect of technology and development in our society. He is also a lover of anything that involves bread and is always on the search for the best croissant. Bassam Afif is one of the product managers in the SAP Design d.studio supporting the Build product team. Bassam has over 15 years of experience in the software industry starting in finance and ending in product management in 2013. Prior to joining the software industry, Bassam worked at a non-profit organization for 6 years while he was working on his MBA in the evenings. Bassam enjoys oil painting, reading and spending time with his family. Cara Stallone is a principle user experience designer on the Build team focusing on design strategy and the visual and interaction design of the product. Cara has been with SAP for 4 years and has led the visual design on various projects delivering exceptional products designed to disrupt and redefine their markets. Her expertise ranges from brand strategy to UX design, managing holistic design solutions across disciplines. In her last role, she lead the creative strategy and visual design for a tech start-up, delivering its online, offline, and mobile products and programs. Elizabeth Leong is an interaction designer Intern in the d.studio at SAP working on Build. Combining her passions for design and coding, Elizabeth is currently pursing a computer science degree while integrating her love of the design into the programmer mindset. She is actively working towards Design Thinking more accessible. Gaby Lui a product manager in the SAP Design d.studio. She holds a Bachelors of Arts in Media Studies from the University of California, Berkeley, and a Master of Business Administration from San Jose State University. Gaby is passionate about translating needs and wishes into something tangible. She loves developing ideas to help people to do things in a more joyful way. Before joining SAP, she has co-founded two start-ups. Gaby describes herself as “a passionate product manager by day and chef, pianist, entrepreneur by night”. Jai Godara is head of the user experience team for the SAP Design d.studio that designs Build. He and his team build tools and learning material that allow people without any design or technical knowledge to envision and create their own business software. Joelle El Hayek is a product manager on the Build team. She holds a Bachelor of Science in Computer Science from the Lebanese American University, and a Master of Science in Software Management from Carnegie Mellon University. Joelle has 6 years of experience in the software industry starting in Software Engineering, then transitioning into Product Management. She is very passionate about designing delightful user experiences and building great products. Joelle enjoys traveling and exploring new places, hiking, swimming, and listening to electronic dance music. Jono Heath is a user experience designer on the Build team focusing on the interaction and visual design of the product. Jono has been with SAP for 2 years and has worked on a variety of different projects like BILT, an interactive product assembly app, and creating motion graphics for the NFL for Super Bowl 50.